While there have been a number of levitating Bluetooth speakers released over the last few years, it’s only now that a major manufacturer has joined the floating audio party. 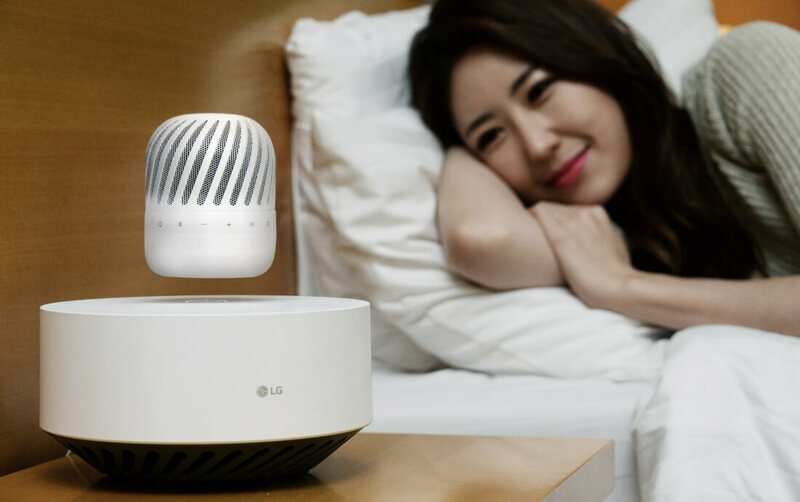 Electronics giant LG has announced that it will reveal its stylish but questionably named “Levitating Portable Speaker" at CES in January. The speaker, also called the PJ9, comes with a “Levitation Station,” which works as a charger and contains a built-in subwoofer for that extra bass kick. It’s also what makes the speaker hover in the air, thanks to some powerful electromagnets. In contrast to some of the funky-looking levitating speakers of the past, LG’s off-white device is fairly understated. The omnidirectional speaker features Dual Passive Radiator technology for “flush mid-range tones and crisp highs,” according to LG. The speakers are said to have an impressive 10-hour battery life. But possibly the best aspect of the PJ9, other than the fact that it levitates, is the way the floating unit slowly descends toward the base station when it needs to recharge, all without interrupting your favorite tunes. The speaker section is weatherproof up to IPX7 specifications, so no need to worry if you accidentally spill some water over it. Additionally, the unit can connect to two different Bluetooth devices simultaneously. LG hasn’t revealed how much the Levitating Portable Speaker will cost, but going off the price of similar devices, expect it to be around the $150 - $200 range. We’ll be at CES next week, where we’ll hopefully get a closer look at the PJ9.